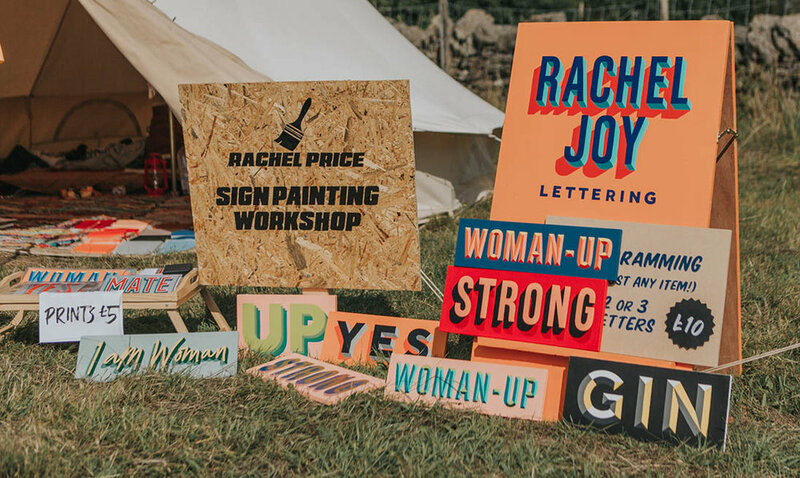 After being a massive hit at last years event Artist & professional sign painter Rachel Price is back with her her traditional sign writing workshops all weekend at Camp VC! Learn to sign paint on glass using traditional sign writing techniques with one of the best in the business. After discovering her great grandfather was a sign painter in Northern Ireland where he worked as part of the team of sign painters on the Titanic, Rachel Price was inspired to start a career in the traditional art of sign painting. Now based in London Rachel will be coming to CAMP VC to share her incredible painting skills, giving advice on her craft & she'll also be on hand live painting & monogramming helmets, skateboards and anything else you can think with your initials all weekend long! ** Please note that this class comes at a small additional cost to your CAMP VC ticket.